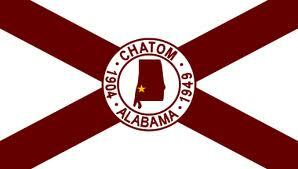 The Town of Chatom was founded in 1904 at the intersection of Highway 56 and 17. Being located in the center of the county, it became the county seat in 1907. In 1949 the town became the largest municipality in Washington County. Today the town has a population of 1205 and is proud of its many accomplishments.